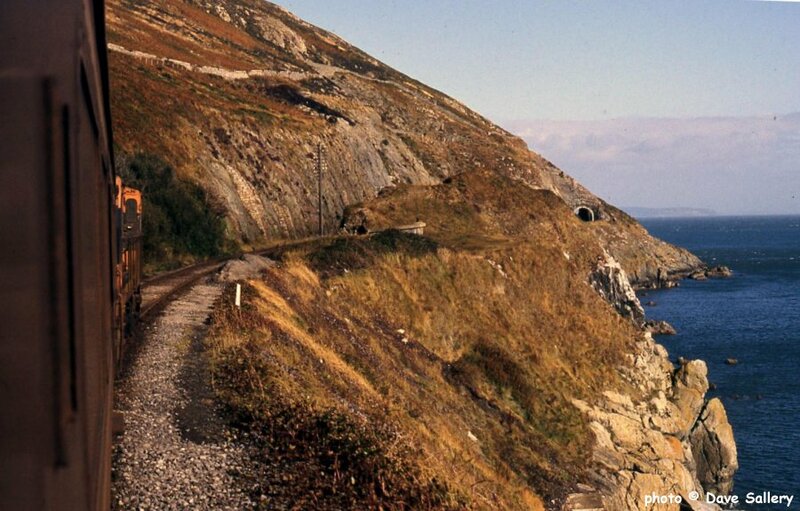 The line around Bray Head looking north. Howth Head, across Dublin bay, is in the distance. 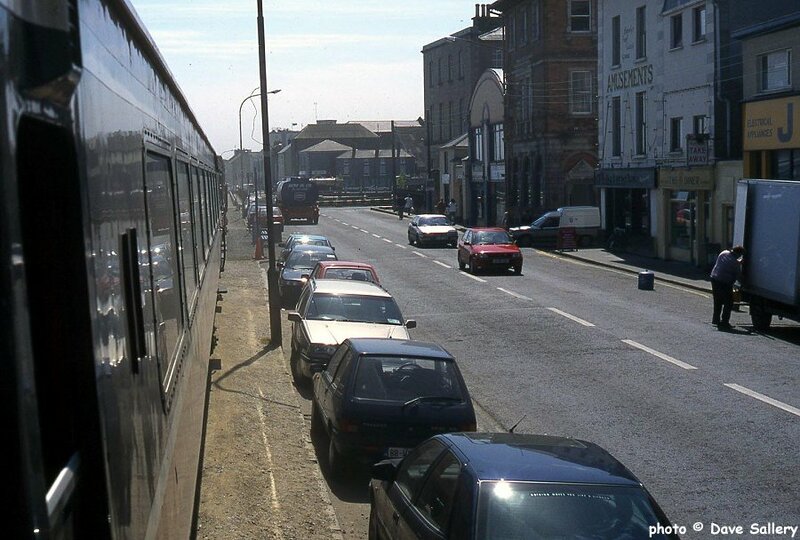 This section as far as Greystones is now electrified. 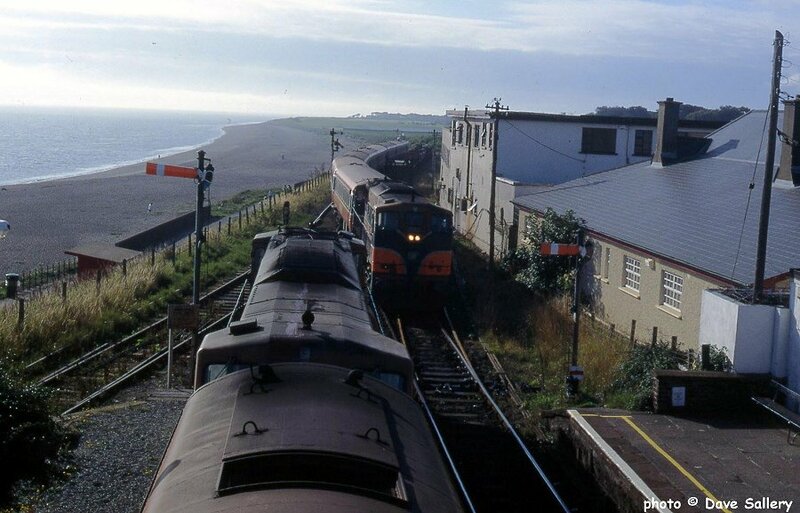 087 and 073 meet at Greystones, 3 September 1996. 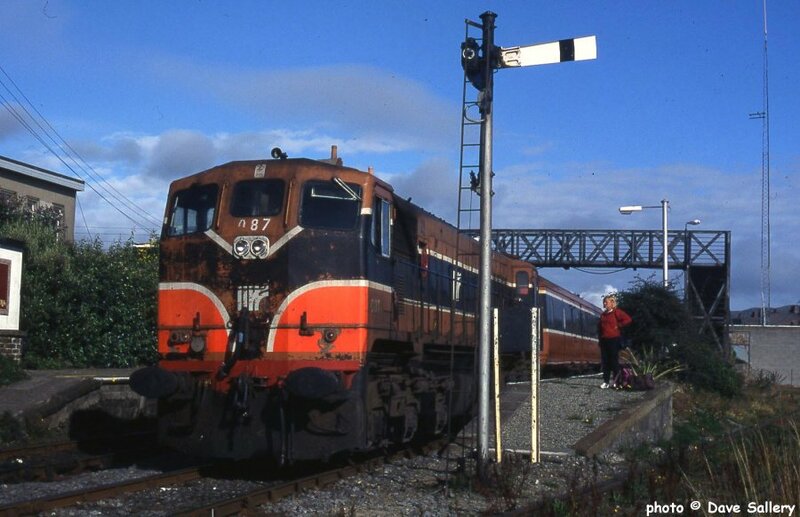 087 at Greystones, 3 September 1996. 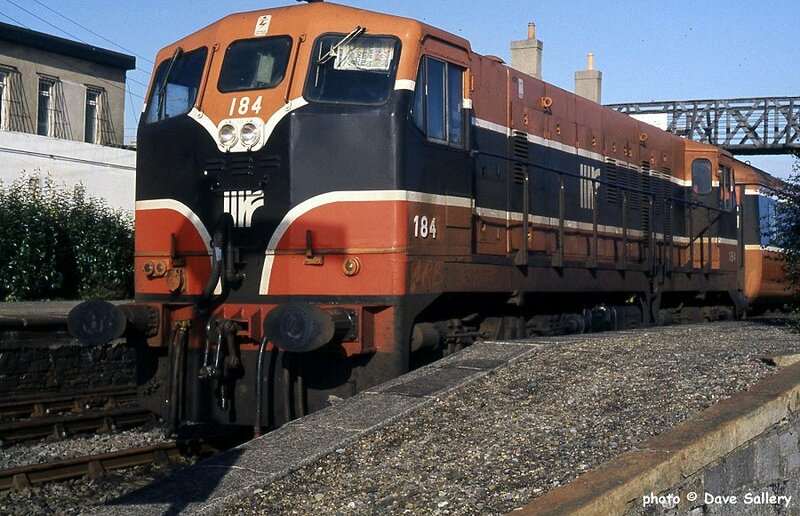 184, Greystones, 1 October 1991. 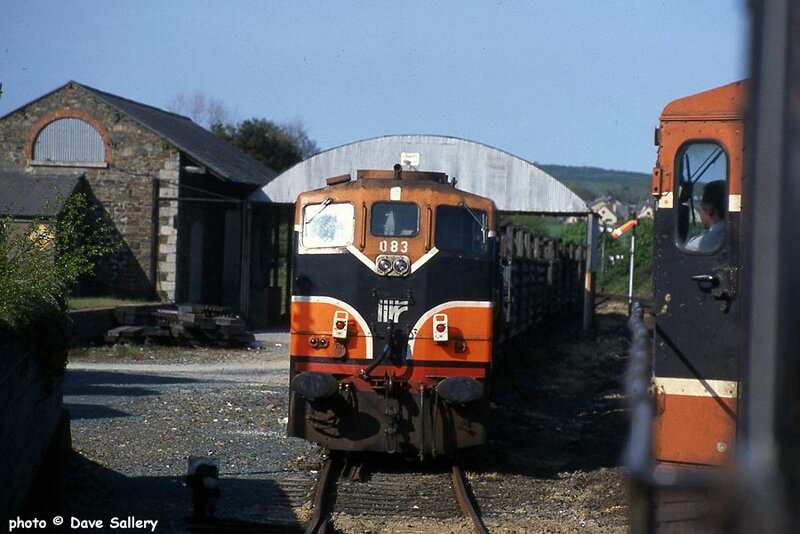 083 had failed and had been left at Gorey, 18 May 1996. This would cause complications later in the day. 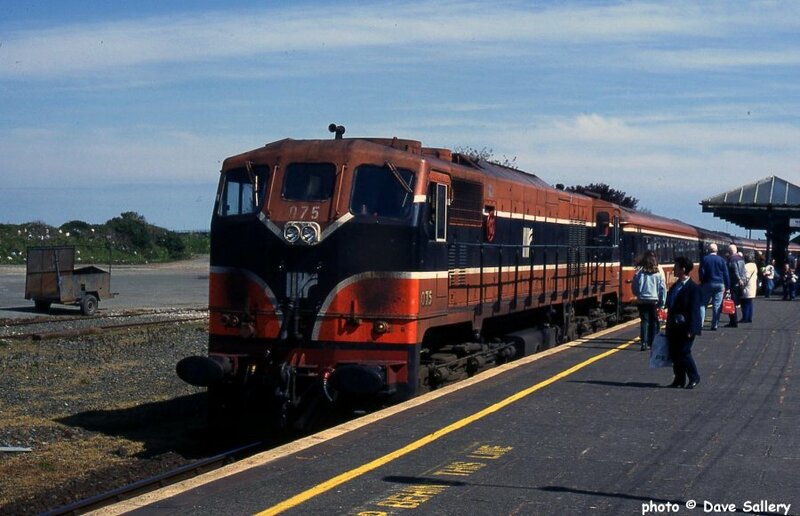 075 enters Wexford from Rosslare, 18 May 1996.
a view on the inland side as the train runs along Wexford quay.